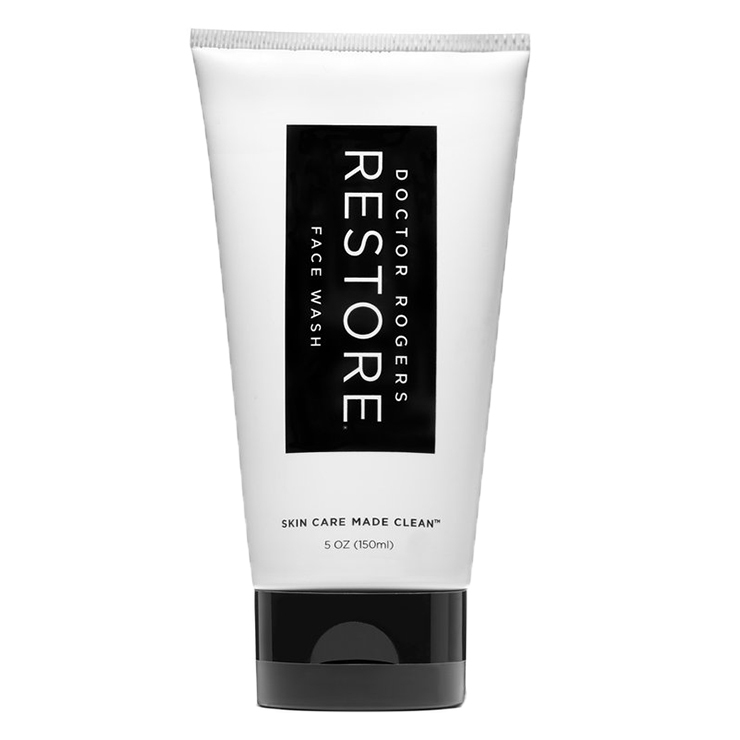 Cleanse away dirt and makeup while maintaining a feeling of balance and calm with Doctor Rogers Restore Face Wash. This fragrance-free cleanser is formulated with aloe vera for a feeling of light hydration that offers a sense of soothing comfort. 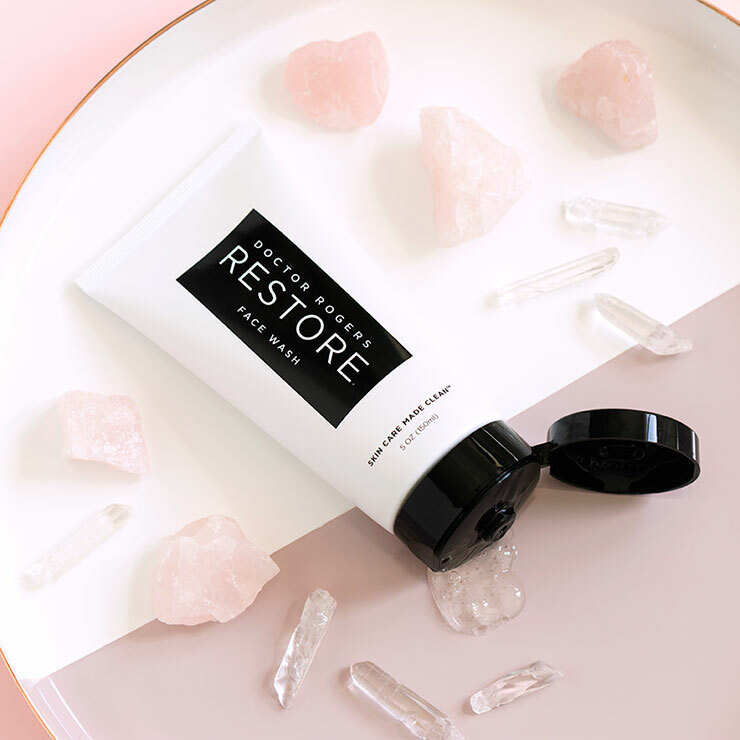 Plant-based cleansers gently cleanse away makeup, dirt, and excess oils, while radish root ferment leaves skin looking purified and clear. A lightly lathering daily use face wash that suits all skin types, especially sensitive. Apply cleanser to wet skin and massage into a light lather. Work in circular motions with fingertips to remove makeup, dirt, and debris. Rinse with warm water and pat dry. Aloe Barbadensis Leaf Juice, Coco Glucoside, Decyl Glucoside, Glycerin, Xanthan Gum, Leuconostoc/Radish Root Ferment Filtrate, Caprylyl Glycol, Citric Acid.